Super Savings Item! 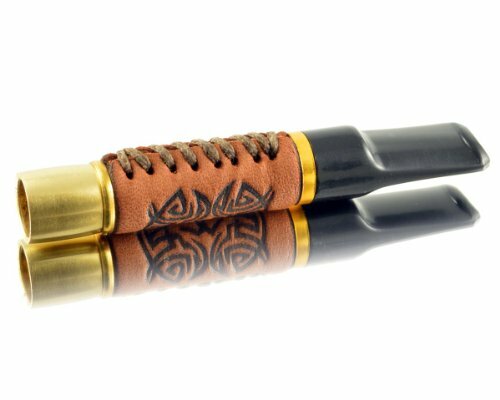 Save 34% on the 2.6''/65mm New short leather-metal men's cigarette holder, fits regular cigarette by Royal wooden collection at Serious Jones. MPN: 21013-1. Hurry! Limited time offer. Offer valid only while supplies last. Looks amazing. It could be a stylish gift for someone you like. It also will be able to become a gift both for your beloved and for you particularly. Metal - brass. Decorative leather. The stem is made from ebonite. Ring and Tip - brass. If you have any questions about this product by Royal wooden collection, contact us by completing and submitting the form below. If you are looking for a specif part number, please include it with your message.